Congratulations on the birth of your child! The Parish Community shares in your joy. Please ensure booking is made 4 weeks in advance. Preparatory meeting will take place with parents and Baptismal Group. The Baptism of a child is a very special occasion in the life of a family. It is also a very special occasion in the life of the Church. Just as we welcome a child into our families, so too the Church welcomes children into the family of God. Baptism is the Church’s sacrament of welcome and the gateway to all the other sacraments. Baptism is the sacrament which initiates a person into the Christian Community, making them children of God and members of the local parish. In it we celebrate God’s love for us and are affirmed as followers of Christ. The central role in passing on faith belongs to parents/guardians. It is they who will be the role models of faith for their children. It is in the home that children need to learn and experience trust, love, faith, hope and commitment in order for their faith to grow. The decision to baptise a child carries with it responsibilities that will last long after the celebration is over. 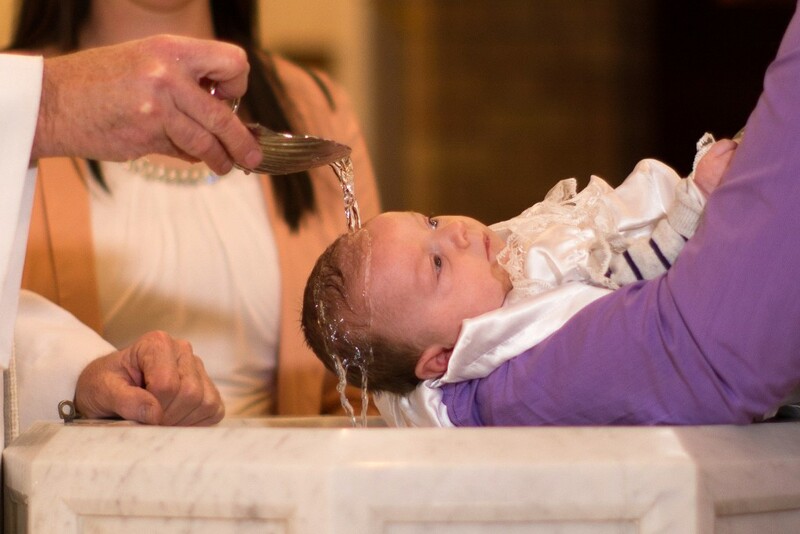 Therefore a key question for parents is “Why do I want my child baptised?” Baptism is a sacrament, a graced moment in which we meet God, and the decision to celebrate the sacrament deserves careful consideration. In the early days of the Christian Church, only adults were baptised. 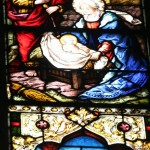 Eventually the practice of infant Baptism grew up and we in Ireland are more familiar with this practice. In recent years, we have seen adults come forward asking for Baptism and there have been a number of adults baptised in our parish recently. In Baptism, God gives us the gift of new life. We become his sons and daughters and belong to Christ. The child/adult is anointed with oil as a sign of being strengthened and being chosen by God. The pouring of water over the person’s head reminds us of the cleansing and life-giving power of God’s love which is literally being poured out. In requesting Baptism for their children, parents are accepting certain responsibilities concerning the faith formation of their children. Faith needs to be nurtured in order for it to grow; one way of doing this is to introduce the child to regular practice of the faith. In the Sacraments we meet Jesus. Baptism is a Sacrament. Sacraments use familiar, everyday things, (like water, oil, bread, movement) to make real for us the presence of Jesus. Each day we use words and signs to communicate with one another. God also communicates with us in the sacraments through words and signs. The signs used in Baptism are water, oil, white garment and light. When someone is baptised, that person is joyfully made a child of God the Father, a brother or sister of Christ, and a member of the people of God, the Church. The Baptism ceremony normally involves movement from one place in the church to another place. From the welcome at the door; to the top of the church; to the Baptismal Font; to the Altar, and then home. This is a journey, reminding us that the Christian life is a journey with and to the Risen Jesus. Because the design of some churches does not make this movement easy, the ceremony may be conducted in one designated area, usually near the baptismal font. The priest greets the parents, godparents and friends who are waiting with the child, inside the door of the Church. 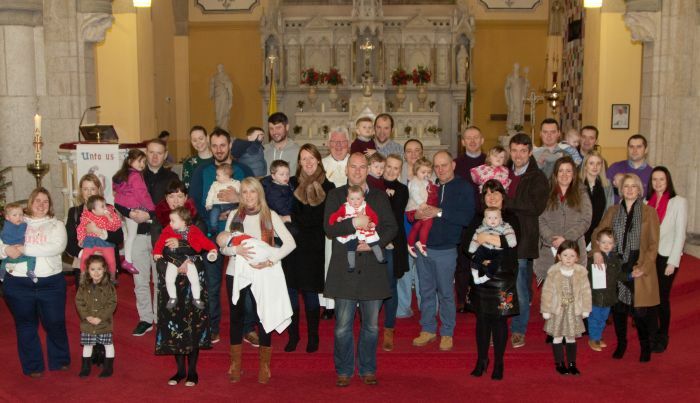 The parents declare that they want Baptism for their child, they give the baby’s name and promise that they will bring the child up in the Catholic faith and be good and practising Catholics themselves. The priest then signs the baby’s forehead with the sign of the cross and invites the parents and godparents to do the same. Those taking part in the ceremony now go to the front of the Church. If there is more than one family, each family takes a seat, with the mother holding her baby. All listen to readings from Scripture and some special prayers are said. (Ministers of the Word and/or family members may read the scriptures and prayers.) The saints are also asked to help and guide us. The priest anoints the child on the chest with the Oil of Baptism, as a sign that he/she is being set aside for a special friendship with Jesus. (Please have the top buttons undone to make it easier to anoint the child). In the final part of the ceremony, the family is invited to bring the baby, who has just become a new creation, a new person, to the altar. In this action there is a pointing forward to Confirmation, the Mass and First Holy Communion. To share in the Mass is the privilege of the baptised. These Sacraments will complete the child’s entry into the Christian believing community. This part includes the saying of the great prayer of the Christian community, the Our Father. Finally, special blessings for the baby, the parents and for all present are said. Parents are reminded that they will be the first teachers of their child in the ways of faith.